An underinflated tire flattens out, perhaps even riding on the thin unprotected sidewall. More tire surface area means greater road friction. 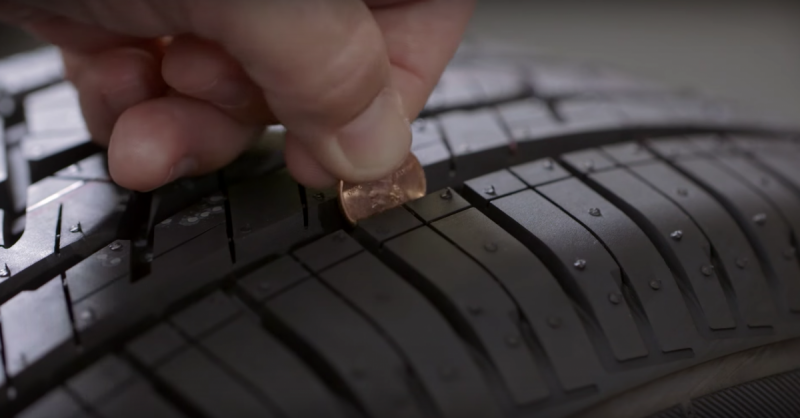 Proper tire care can improve handling, tread life and fuel economy. Your vehicle loses 10 percent in fuel economy on average for every five to seven pounds reduction in air pressure, Zielinski said. As an example, say your tires are underinflated by an average of seven pounds PSI. A car that typically averages 20 miles on a gallon of gas now gets 18 MPG. Another yardstick: A 1,000 mile road trip just required an extra five gallons of gasoline. Miles per gallon decreases even further as tire air pressure drops. Equally important, good tires help prevent breakdowns and crashes in remote locations such as the mountains or lonely deserted road. “P” for “pressure.” Check tire inflation monthly and always before going on a road trip. Tires can lose a pound of inflation each month, even if the vehicle has been sitting in the garage. Manufacturers generally state inflation recommendations on labels attached to the door edge, doorpost, glove-box door or inside of the trunk lid. “A” for “alignment.” Poor aligned wheels can increase tread wear and cause uneven tread wear. It also can cause your automobile to “pull.” Front wheel drive vehicles and vehicles with independent rear suspension require alignment on all four wheels. Check with your service technician and owner’s manual for manufacturer’s alignment recommendations. “R” for “rotation.” Irregular wear may be corrected simply by rotating tires. Refer to your vehicle owner’s manual for rotation recommendations (a good rule of thumb is to rotate every 5,000 miles). The type of rotation method used depends on the kind of vehicle you drive and the kinds of tires used (front-wheel vs. rear-wheel drive, conventional vs. steel-belted tires). 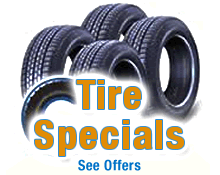 “T” for “tread.” When do tires need replacing? Modern tires are designed with “wear bars” that appear when tread gets to the legal limit (two-sixteenths of an inch). Or you can use the “penny test”: Insert a penny between the treads. Make sure your tires valves have caps. Do not overload your vehicle. Check the tire information placard or owner’s manual for the maximum recommended load for the vehicle. If you are towing a trailer, consider that some of the weight from the loaded trailer is transferred to the towing vehicle. Slow down over potholes, avoid road debris and do not drive over curbs. This may internal tire damage and weaken the tire.